Located on a quiet street is an adorable 3 bedroom, 2 full bath home for sale in Fredericktown, Ohio. This property features a nice sized living room with a lovely bay window that allows for natural light to flow in. Enjoy an adjoining dining area and cabinet filled kitchen with major appliances and a breakfast bar that's perfect for sitting down for a bite to eat before you begin the work day. This home also features an owners suite with a private bath and offers storage space or potential additional living space in the basement. This adorable property offers an attched 2 car garage with a concrete driveway, a fantastic fenced in back yard, and is down the road from Warner Park. Situated on the South end of Fredericktown, Ohio, this home is available for quick possession and is priced to move fast at $110,000. 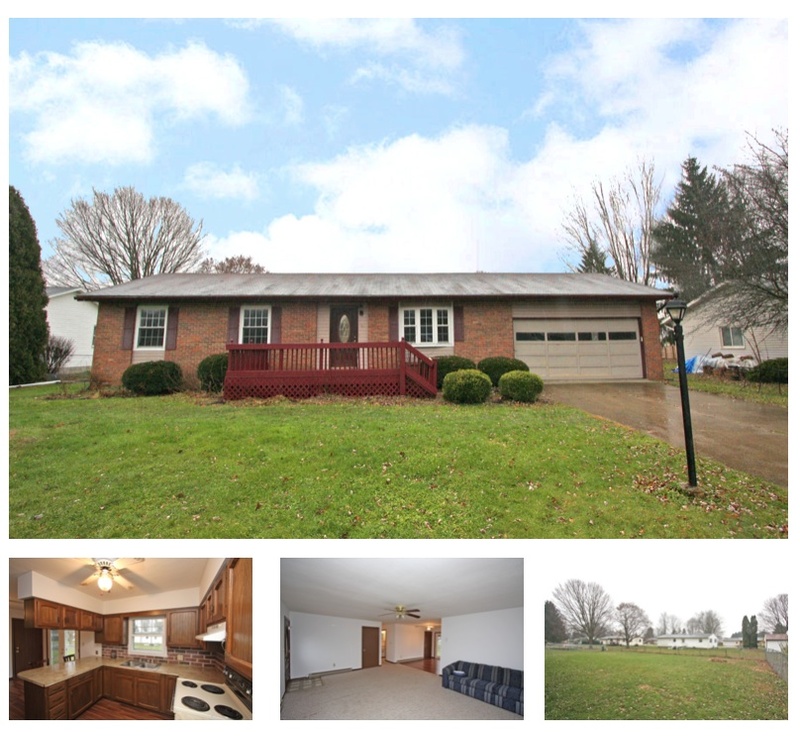 Click here for more information on this 25 Adena Court ranch home for sale in Fredericktown. Ohio 43019. The people of the Fredericktown, Ohio community take pride in decorating their home town with welcoming faces and school spirit. Fredericktown Local Schools are dedicated in providing the best educational experience for each child and offers an extensive list of co-curricular activities to choose from, including FFA. In 1933, the youth of Fredericktown, Ohio was seen at the National FFA Convention, sporting the official apparel for the first time, setting the uniform for generations to come. The town offers 130 acres of community parks that provide baseball diamonds, picnic facilities, places to reserve for special events, and Sockman Lake to swim and fish. Visitors and Fredericktown dwellers love to take advantage of the 2 miles of trails in its 57 acres of woods that offer scenic views and flowing wildlife. The village of Fredericktown has many things to do including fishing at Knox Lake where bass fish are record setting, golfing, bowling, tennis, camping, and ski resorts nearby. Fredericktown, Ohio is a community of agribusiness. Each year, alfalfa, soybean, wheat, and corn are harvested and livestock such as goats, sheep, cattle, llamas, and dairy is utlized to make the agribusiness as successful as possible. We've captured custom drone footage to highlight the unique features in the community of Fredericktown, Ohio. Look below to find popular streets, farm land, the water tower, neighborhoods, and local businesses. This is a fantastic place to live for those who commute to work, having easy access to Interstate 71. If you love the Village of Fredericktown, Ohio, consider making it your new home! Click HERE to view homes for sale in Fredericktown, Ohio. In a effort to best serve students and the community of Fredericktown, Ohio, the Fredericktown Local Schools are committed to lead students towards success with academic excellence in preparation for a ever-changing world and becoming a model citizen. Fredericktown Local Schools provide a curriculum constructed with efficiency, community awareness, and success. Students are encouraged to participate in school athletics and are offered options of football, volleyball, track and field, golf, basketball, softball, baseball, bowling, and wrestling. If you're looking for something to do, attend one of the athletic events such as a Friday night football game, track meet, or basketball game and find the school spirit roaring all around. 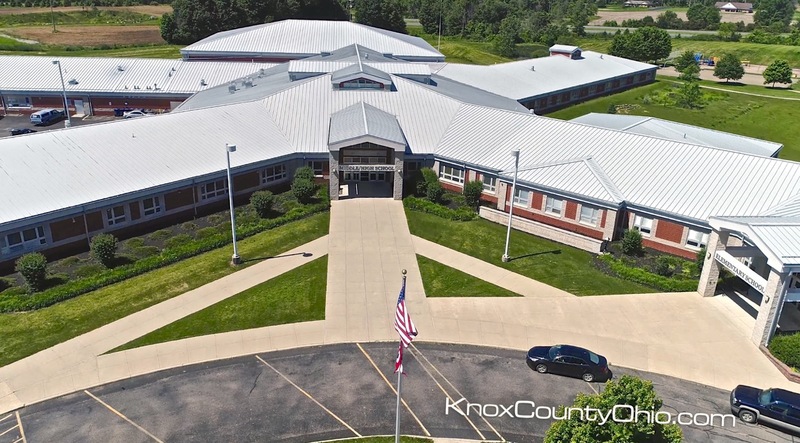 Our drone footage below showcases Fredericktown Local Schools and the surrounding neighborhoods, lush greenery, and its sports stadium and track. If you love the community of Fredericktown, Ohio, consider making it your new home! To find homes for sale in Fredericktown, Ohio, click HERE, and to find homes for sale in the Fredericktown, Ohio Local School District, click HERE. 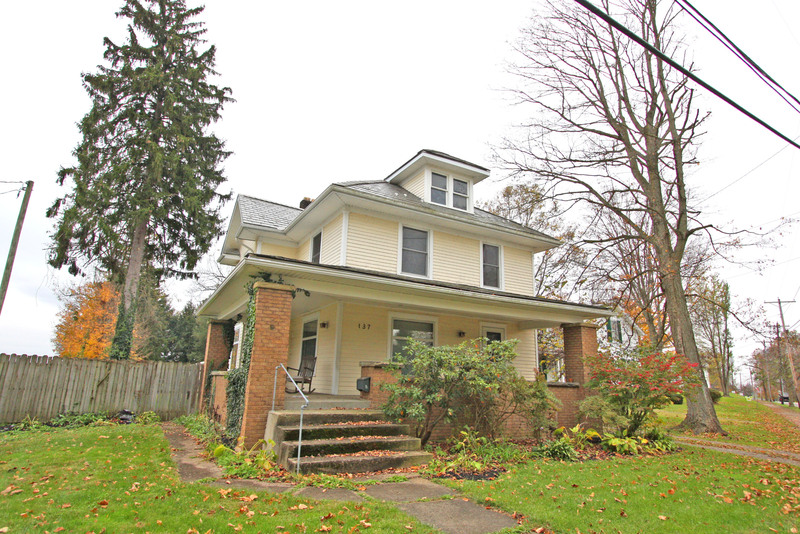 Lovely charm and character filled 2 story home for sale in Fredericktown, Ohio. This gorgeous property is situated on 0.75 of an acre and features a gorgeous lot with the back portion fenced in. Be welcomed by beautiful hardwood flooring and a fantastic entry foyer with an open staircase and adjoining formal living room and formal dining room in view as soon as you walk in. Enjoy convenient main level laundry, a first floor parlor room, and appliance filled kitchen with all original solid oak built in. This lovely 3 bedroom home features a back stairwell to the kitchen, a huge owner's bedroom with double closets, a walk up attic with additional storage space, a detached 2 car garage, central air conditioning, and a modern 2 stage natural gas furnace. With a fantastic location near local schools and Merrin Park, this gorgeous historic home is available for immediate possession and is priced to sell at $150,000. Click here for more information on this 137 West Sandusky Street home for sale in Fredericktown, Ohio 43019. Simplify your life and save money by moving to this super affordable home! Situated on a very nice corner lot in the Fredericktown Local School District is a super clean 2 bedroom ranch home for sale in Fredericktown, Ohio. This lovely home offers a huge living room/dining room combination with lots of natural light and is adjoined by a recently updated kitchen. Enjoy a relaxing covered patio, convenient main level laundry, and a fantastic fenced in back yard. This property also includes natural gas heat, a detached garage, limestone driveway, and is available for immediate possession. Priced to sell at $75,000. 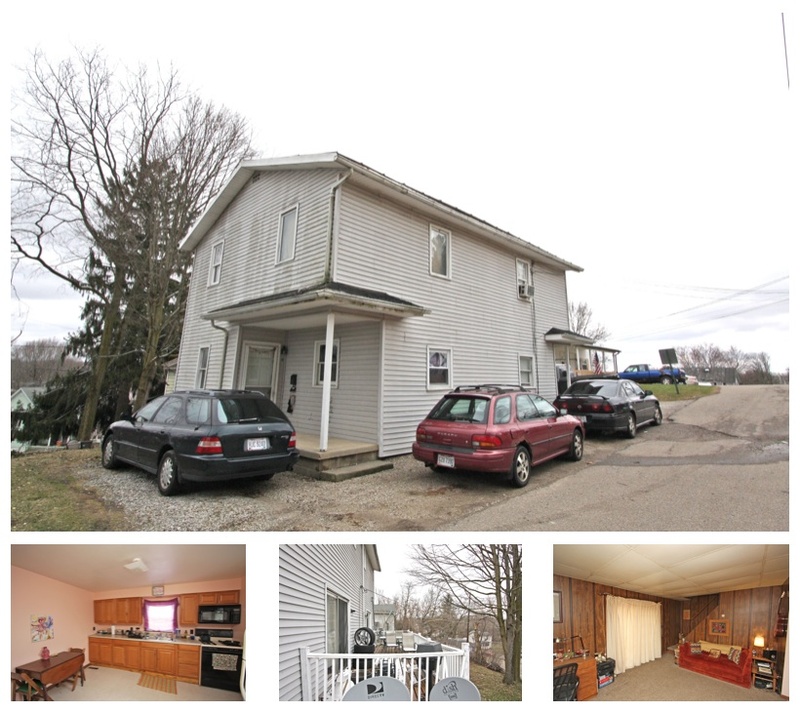 Click here for more information on this 20 Cooper Street home for sale in Fredercktown, Ohio 43019. 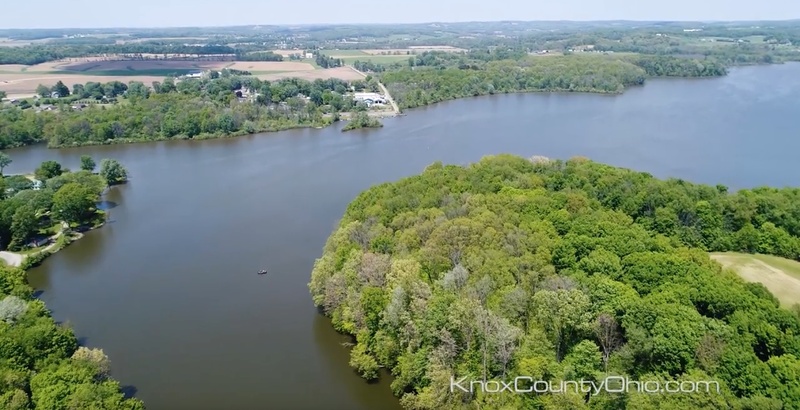 Located Northeast of Fredericktown, Ohio about 1.5 miles, lays Knox Lake, spread across 469 acres of land. This lake was constructed in 1954 by the Ohio Department of Natural Resources Division of Wildlife. Boat ramps are located off of County Road 5 on the upper section of the reservoir and the marina and main boat ramp access are on Armentrout Road on the reservoir's lower section. The picnic areas, docks and rental boat slips, boat ramps, and parking lots are maintained and kept safe and clean for visitors by The Division of Wildlife. 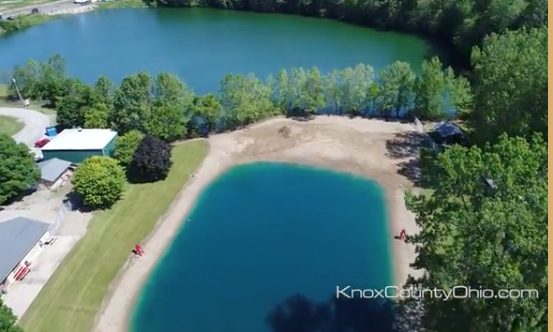 Our custom drone footage below captures the gorgeous sights of Knox Lake, looking below at visitors kayaking, and a rare view of the canal area. Many people visit the Knox Lake to enjoy boating, fishing, kayaking, and swimming. The lake provides over 11 miles of shoreline and has a maximum depth of 24 feet near the dam. Catch various breeds of fish including Bluegill, Channel catfish, Sunfish, Largemouth bass, and Crappie. Outboard motors have a limit of 10 horsepower, operate larger outboard motors at no wake/idle speed only. If you love Fredericktown, Ohio, consider moving here! Check out Fredericktown, Ohio homes for sale HERE. The village of Fredericktown, Ohio is a bright and friendly community that offers many events to attend, places to eat, and activites. The Fredericktown Ohio Community Park is located on State Route 95 on the edge of town and anchors many celebrations such as the annual 4th of July fireworks where upwards of 7 thousand people attend. Within the Fredericktown Ohio Community Park is Sockman Lake, a half acre swimming area available during the summer months. The park provides 8 open shelters where people can relax in the shade, have a picnic, and socialize. There is also an enclosed shelter that seats approximately 100 people and is reserved for many birthday celebrations, weddings, business meetings, educaional classes, church picnics, and family reunions. Take advantage of the North branch of the Kokosing River where fishing is a perfect fit, play ball on one of the 4 ball fields, practice serving skills one of the 2 volleyball courts, or challenge friends to a quick soccer match on the soccer/football field. Our custom drone footage below reflects the beauty of the park and showcases all of the attributes it provides to the Fredericktown, Ohio community. If you love the community of Fredericktown, Ohio, consider making it your new home! Click HERE to see all Fredericktown, Ohio homes for sale and to view all homes for sale in the Fredericktown, Ohio school district, click HERE. This feature article is part of our ongoing series titles 365 Things To Do in Knox County Ohio by Sam Miller of REMAX Stars Realty in 740-397-7800. Impressive 4 bedroom, 3 bathroom ranch home for sale with exceptional upgrades throughout. 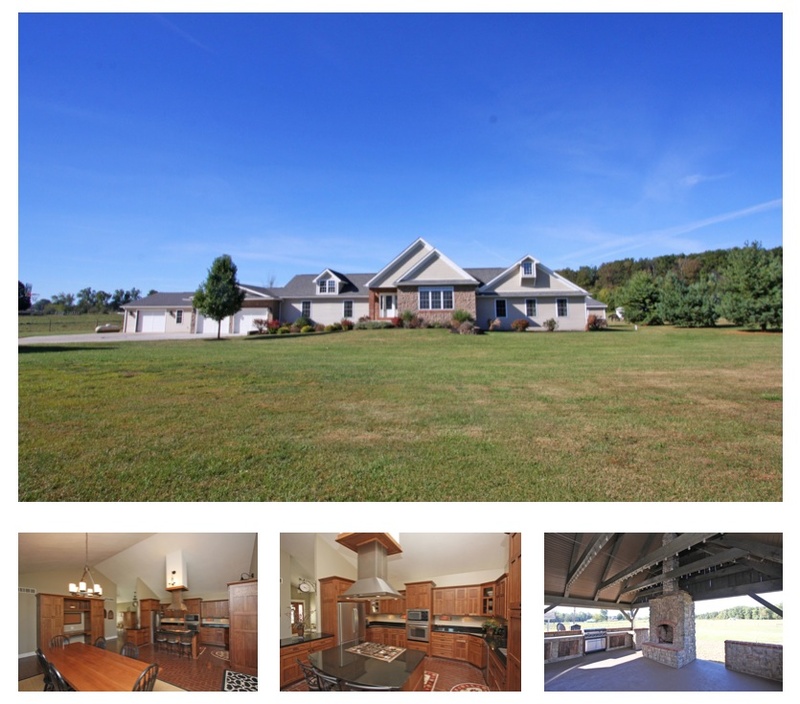 This property features 3.059 country acres, a concrete driveway, and 4 car garage with a bonus space/workshop area. This home has a very inviting entry foyer that leads to the huge vaulted ceiling living room and stunning kitchen/dining room combination with gorgeous cabinetry, built ins, granite countertops, and stainless steel appliances. Having so much to offer, this property also includes a home office/den space, convenient main level laundry, an owner's suite with a walk in closet and deluxe private bath, as well as an outdoor furnace, and an amazing covered patio with a fireplace and outdoor kitchen. Located in the Fredericktown School District, this home is available for immediate possession and is a must see to appreciate. Priced to sell at $350,000. Click here for more information on this 18985 Cooke Road ranch home for sale in Fredericktown, Ohio 43019. 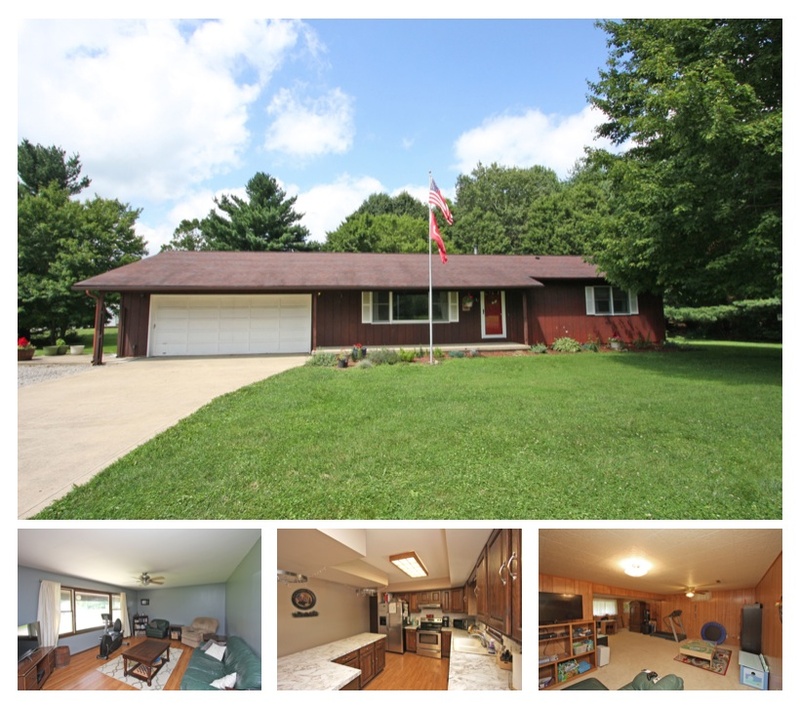 Just a few minutes from the village of Fredericktown and easy access to State Route 95, this lovely 3 bedroom, 2.5 bathroom ranch home boasts 1.53 acres of country land and carefree living. Enjoy a nice sized living room with a picture window and easy care laminate flooring as well as an adjoining dining area and cabinet filled kitchen with an island/breakfast bar and stainless steel appliances included. This property also includes a master bedroom with a private half bath, finished lower level with a huge family room, 3rd bedroom, and full bath. Relax on the rear deck and enjoy the fantastic country views from the back yard. This home has an attached 2 car garage, concrete driveway, forced propane heat, central air conditioning, and a yard barn for added storage. This property is priced to sell at $169,900. 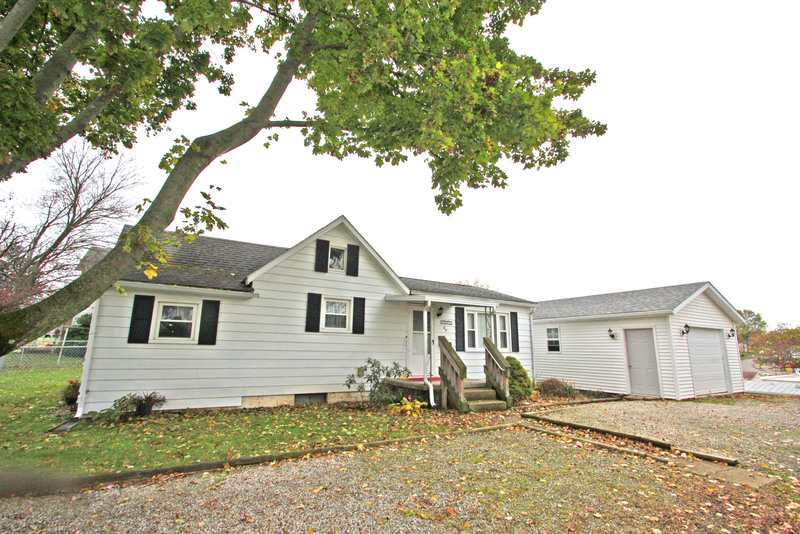 Click here for more information on this 16464 Pinkley Road home for sale in Fredericktown, Ohio 43019.